Nicola Michelle Airey has performed as Sylv in Berkoff's EAST, Madeline Bray in Nicholas Nickleby, Lemuel Gulliver in Gulliver's Travels and worked in many film productions such as No Honour, No Choice staring Harvey Virdi and Pooja Shah and Ways to Live Forever. As an Actor, singer, dancer and model Nicola is a well rounded performer who is a keen rock climber and horse rider who explores diverse styles of dance and movement. 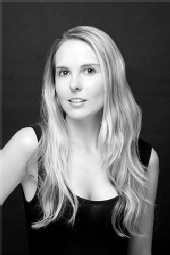 In 2010 Nicola Michelle Airey will be performing in Stephen Belber's TAPE. In 2009 she completed a Bachelor of Arts Honours Degree in Contemporary Acting.